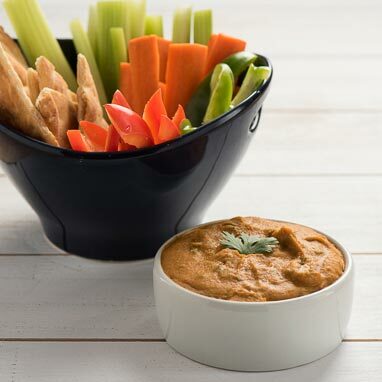 Healthy, high protein white beans blended into a spicy dip that works well with chips, crackers or veggies. Chipotle peppers are smoked jalapeños that pack some serious heat. Adobo is a tangy, slightly sweet red sauce. Together they nicely balance one another, but if you're sensitive to heat you may want to scrape the seeds out of the peppers before adding them to the blender.